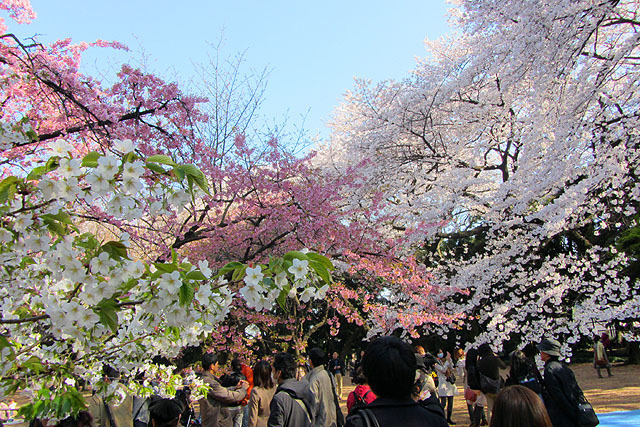 This year’s sakura season is winding down in Tokyo. 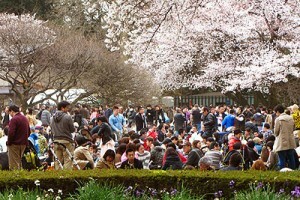 Every year, Japanese people look forward to having “hanami”(cherry‐blossom viewing) parties under the trees. 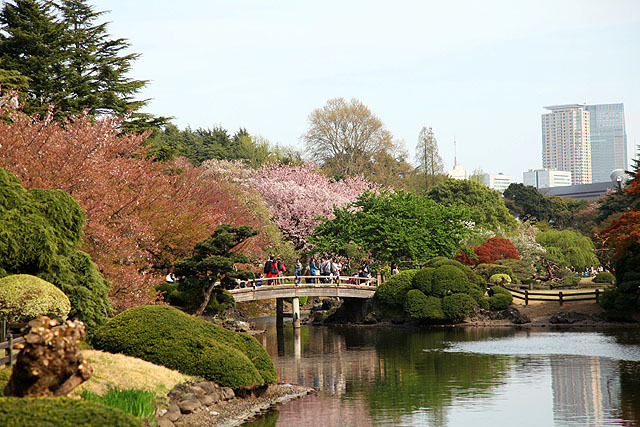 Today, I would like to introduce a very large and popular park in Tokyo called “Shinjuku Gyoen”. There’s an admission fee, but it’s only ¥200 (US$2.5) and I think it’s well worth it! 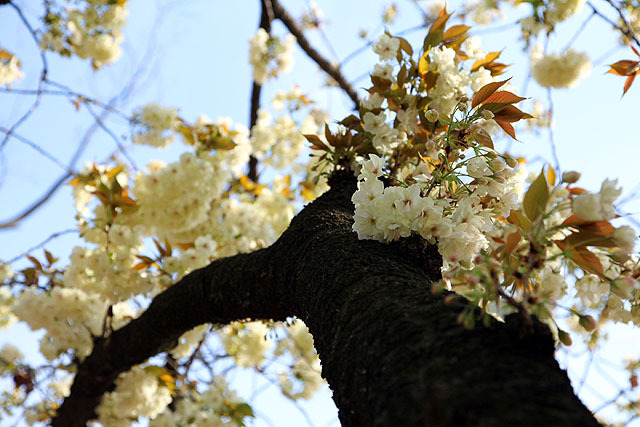 There are many large mature huge. 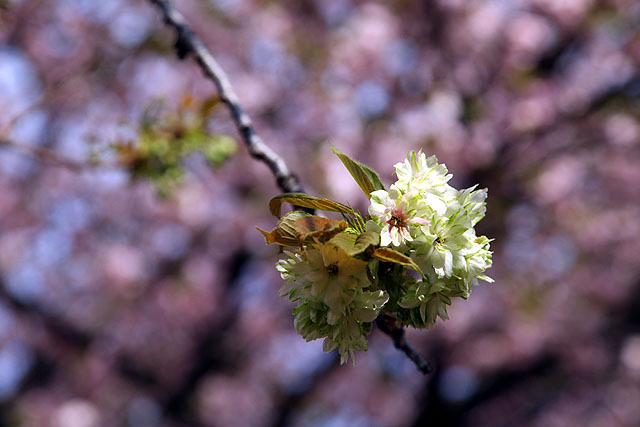 The branches have grown low to the ground, so the blossoms can be seen very closely. 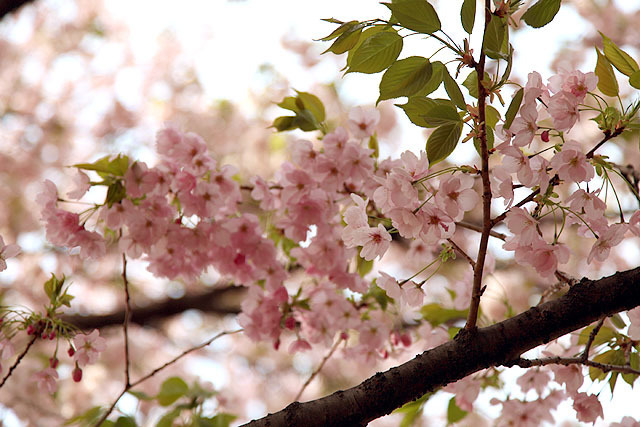 The contrast of green of leaves and pink of flowers is very beautiful! 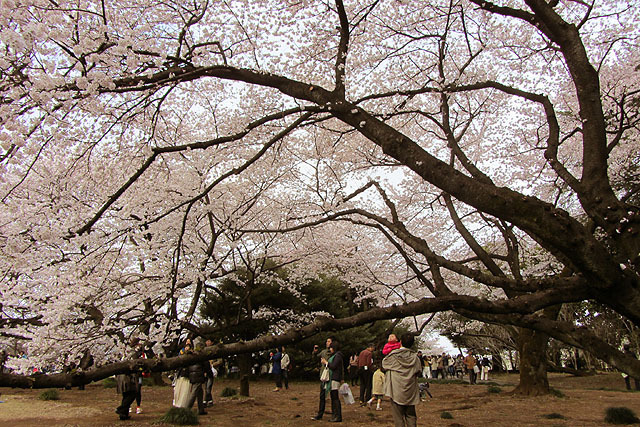 Many kinds of sakura can be enjoyed here. This is a bit unusual greenish kind. 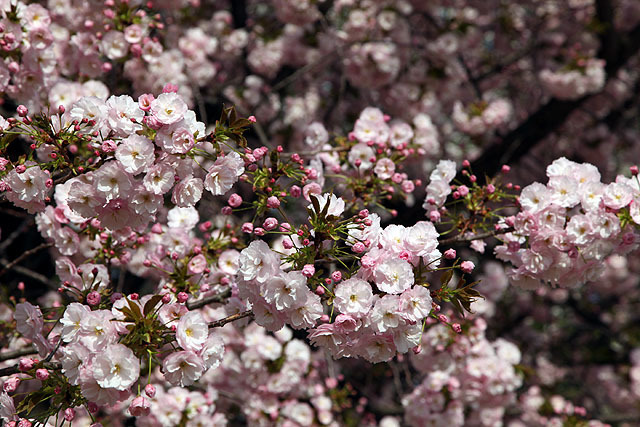 These are double cherry blossoms called ‘yea-zakura’. 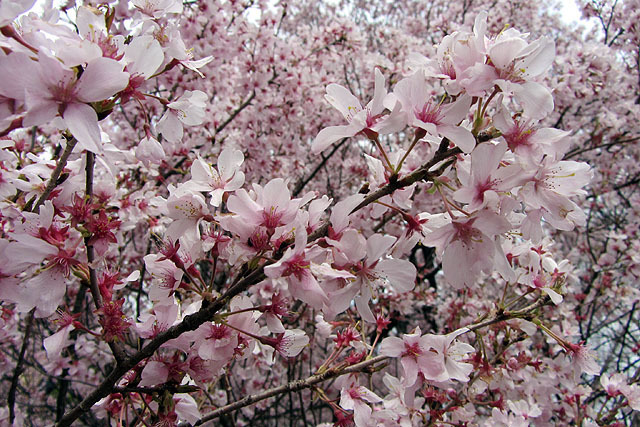 Yae-zakura last longer than the most popular kind, ‘someiyoshino’. A well maintained Japanese style garden. 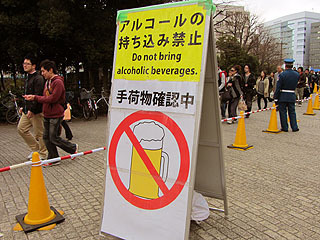 Usually we enjoy alcohol a lot at the sakura parties, but Shinjuku Gyoen banned alcoholic drinks from the park from this year. 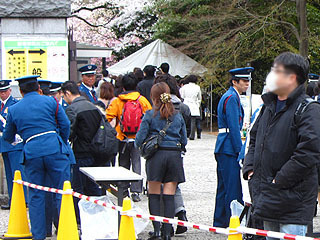 The baggage check is being held at the entrance. You have to show even the inside of your bags. It looks very strict, like the security at international airports. Open fires are also prohibited, so people can’t have barbecue parties. But I guess it’s OK (^^). 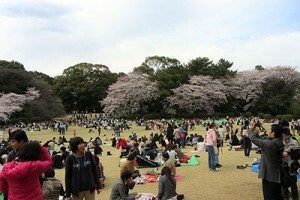 People bring “bento” style meals, enjoy non-alcohol drinks, and can concentrate on viewing sakura!